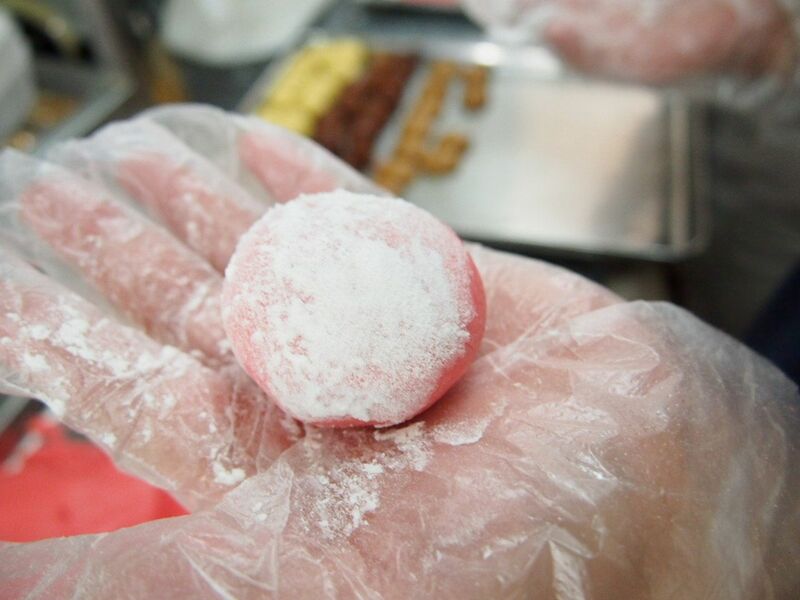 X and I were invited by Lek Lim Nonya Cake Confectionery to try their handmade kuehs and to witness how these kuehs are made. X and I didn't really know what to expect haha but we were excited anyway. We asked if we could bring along two friends who like nonya kuehs and Mr Gavan Sing very kindly obliged and told us the more the merrier! 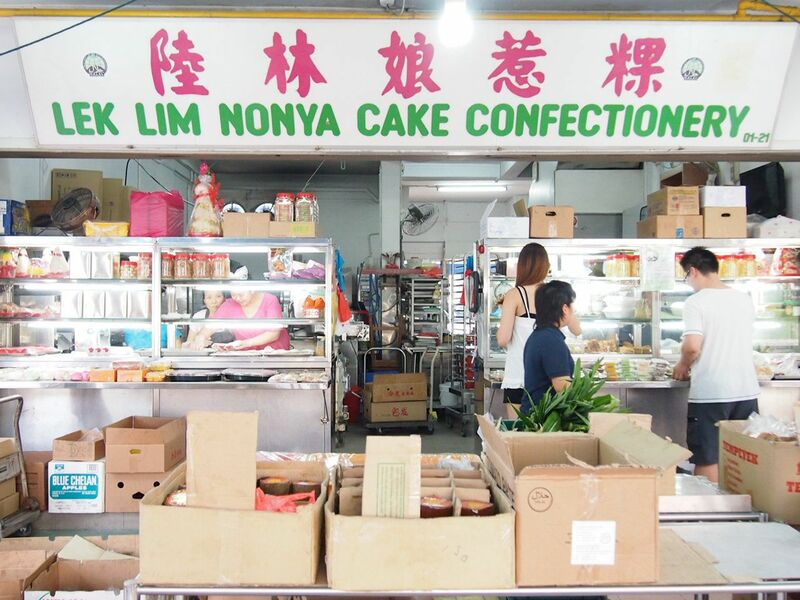 Lek Lim Nonya Cake Confectionery has been around for a really long time. 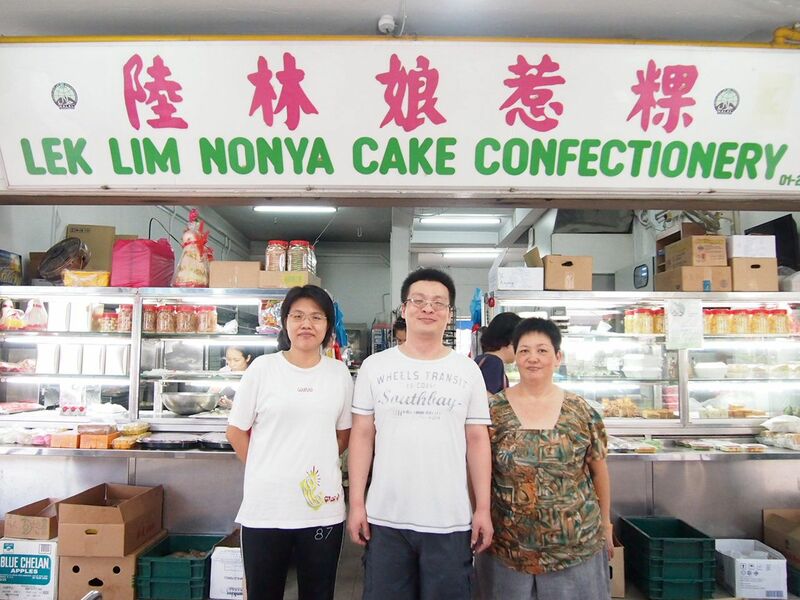 They used to be a home kitchen before they moved to Bedok in 1987 and they have been here ever since! That's a glorious 26 years at Bedok. Not forgetting that they have been making waves a long time before their physical store. 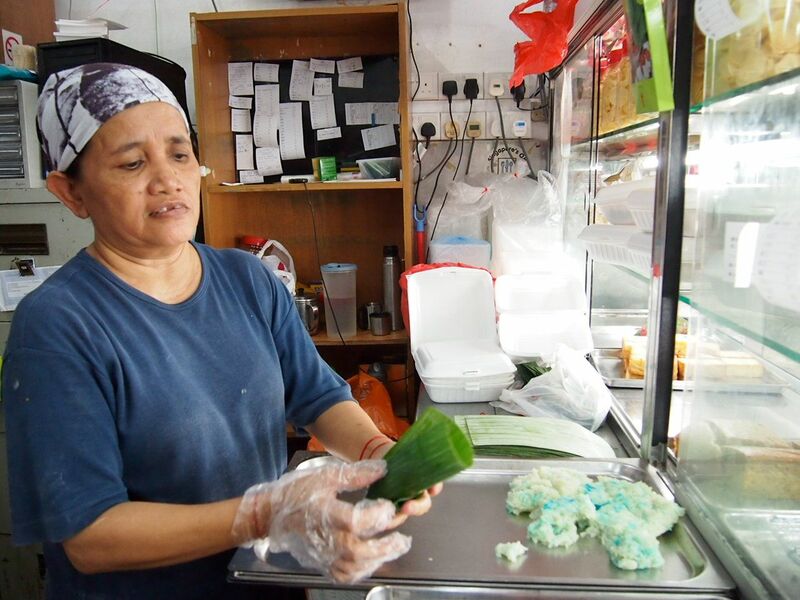 It all started when Gavan's grandpa learnt how to make kuehs from a Peranakan lady and Gavan's mummy took over the business subsequently. Over the many years, they have made numerous changes to their selection, removing certain items and focusing on others. 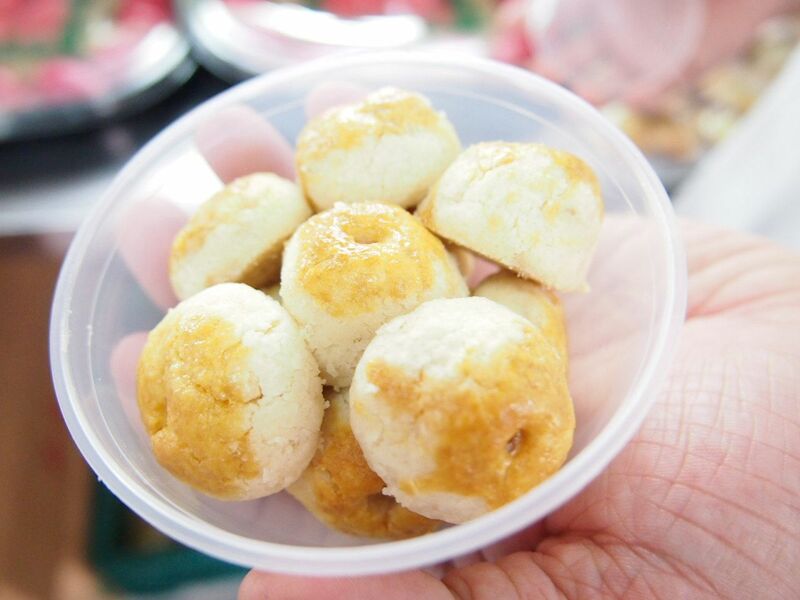 They re-introduced vegetarian nonya kuehs which do not contain eggs or animal products. 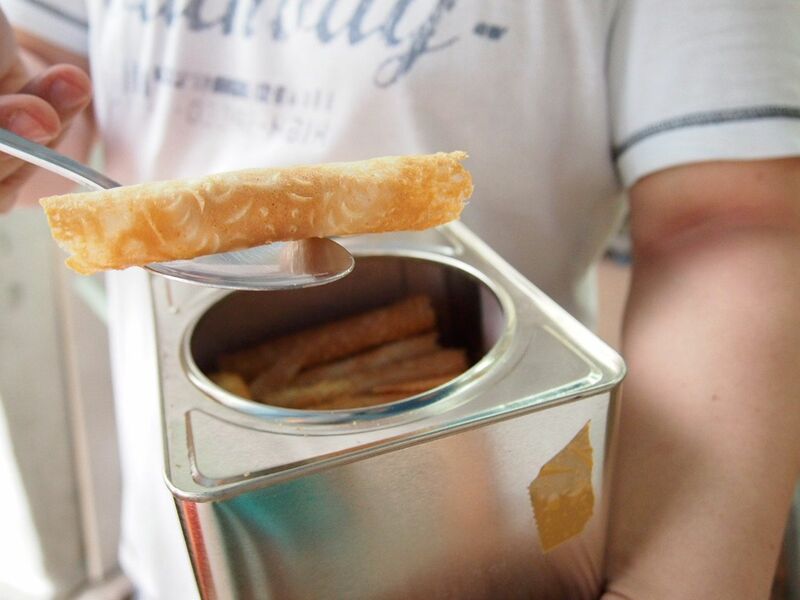 They have also expanded their selection in the recent years by handcrafting the popular soon kueh and rice kueh, and introducing fried goodies such as curry puffs, sardine puffs and yam cake. 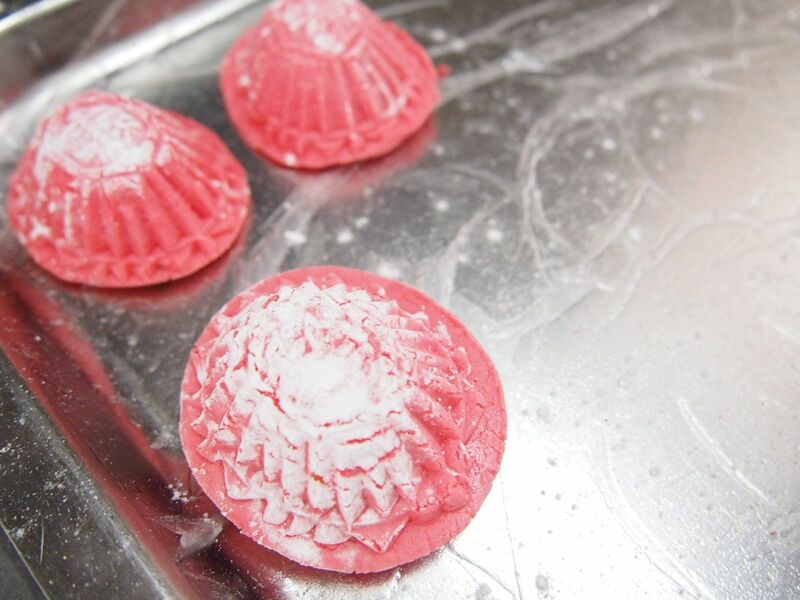 Lek Lim Nonya Cake Confectionery stays true to handmaking all their kuehs. 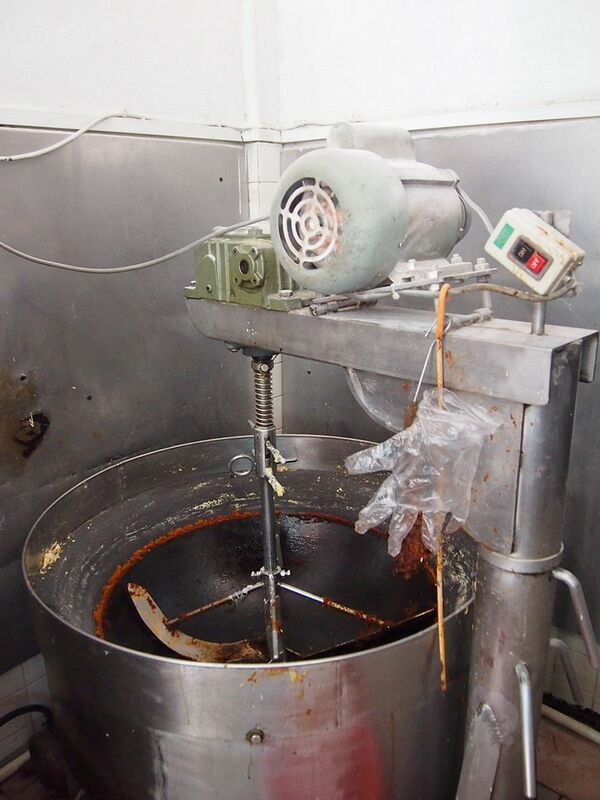 You probably won't know this but there's a huge difference between kuehs that are made by machines and made by hand. I'll elaborate further later. For now, I'm very excited to tell you what Mr Gavan surprised us with. 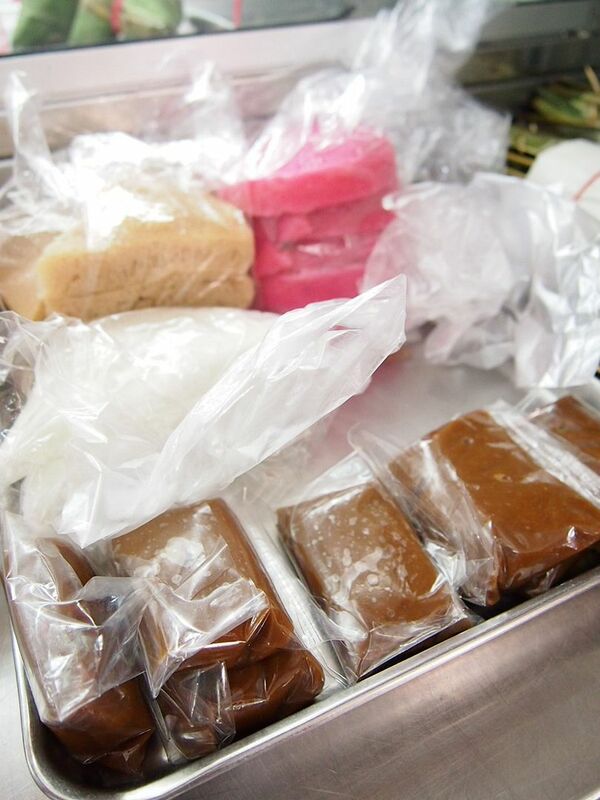 He told us that we would be making ang ku kuehs, Lek Lim's signature kueh. We all looked at him, stunned and wide-eyed. HAHAHA. 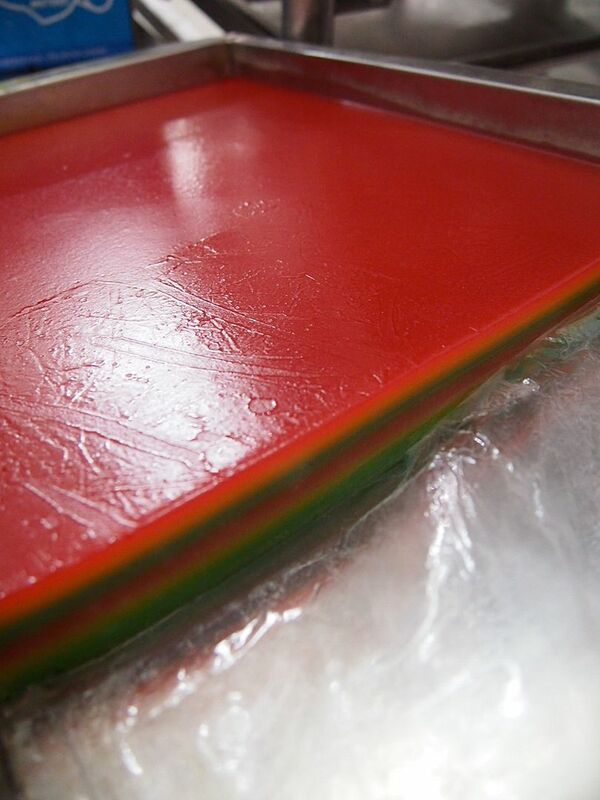 So here goes, there are two different coloured dough here. 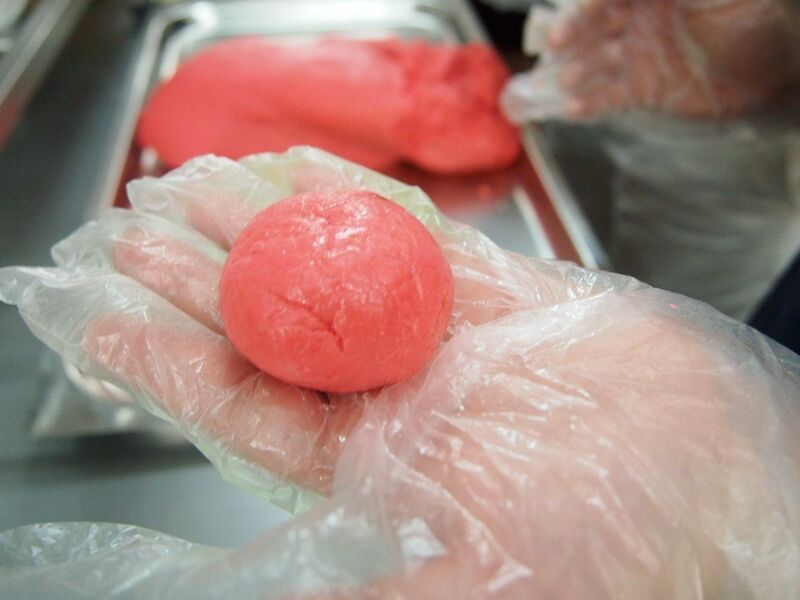 Why do you think there's a need for different coloured dough? If you're thinking colour-coding, you're right! 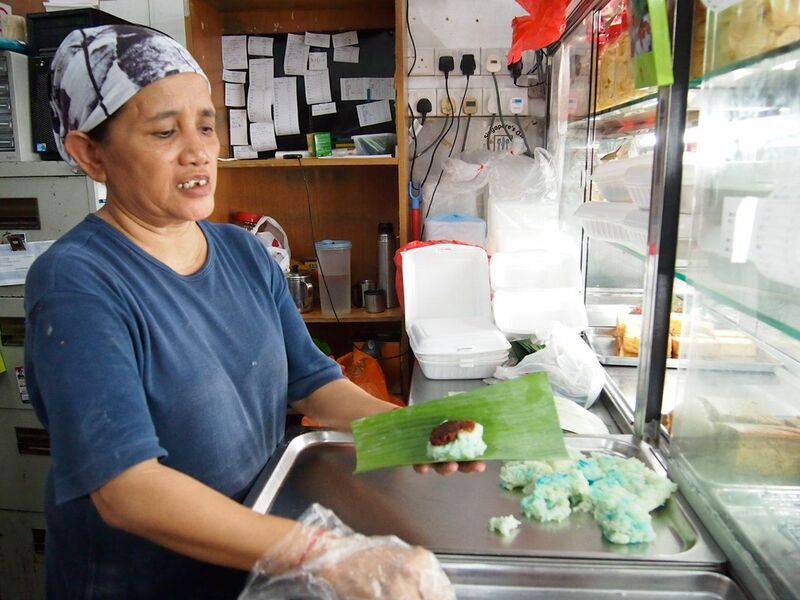 There are 3 different fillings for the ang ku kuehs and the green dough is used to wrap the coconut filling while the red dough is used for the green bean and peanut fillings. 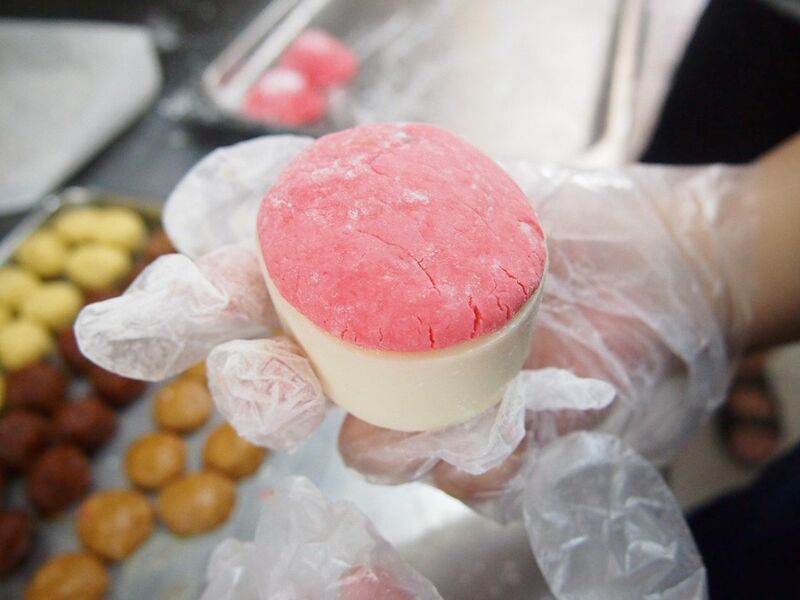 The coconut and peanut fillings will seeped into the dough during the baking process and they will leave colourations on the surface of the kueh for easy identification. 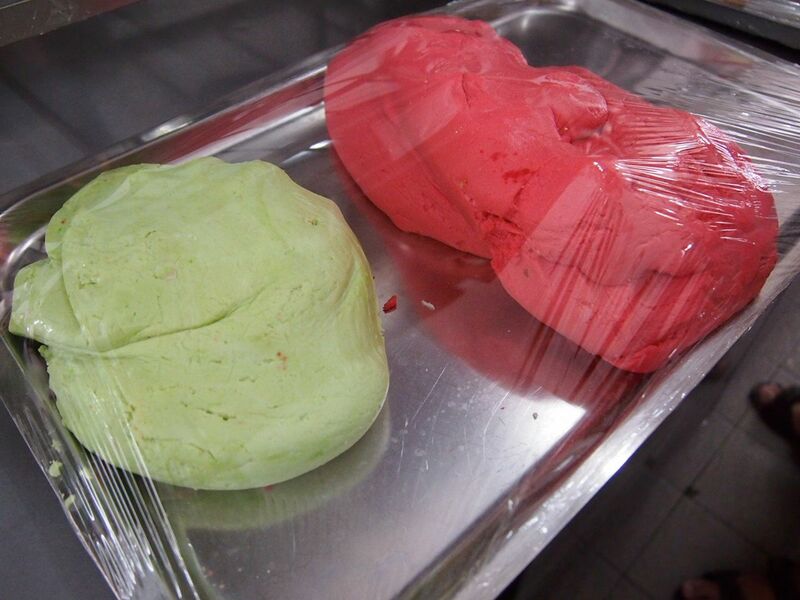 The green dough is softer and more moist than the red one. 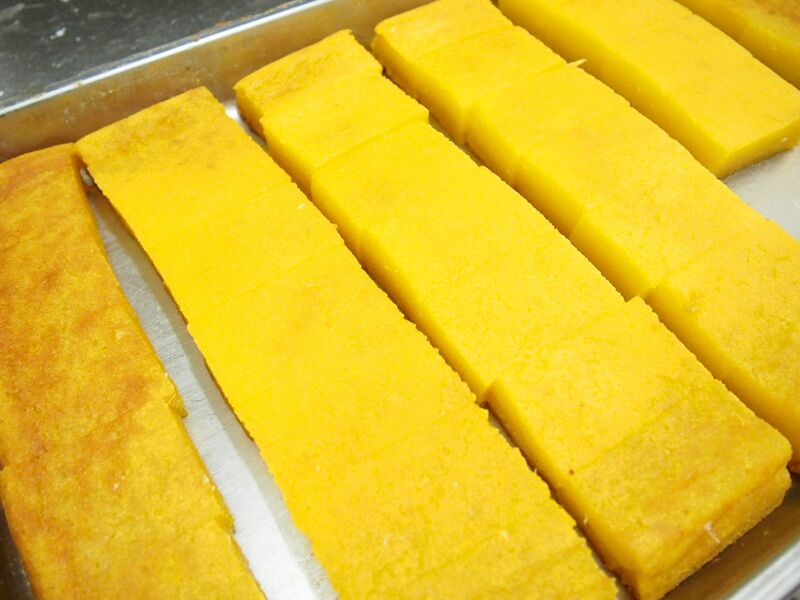 There is a slight difference in the recipe of the doughs. 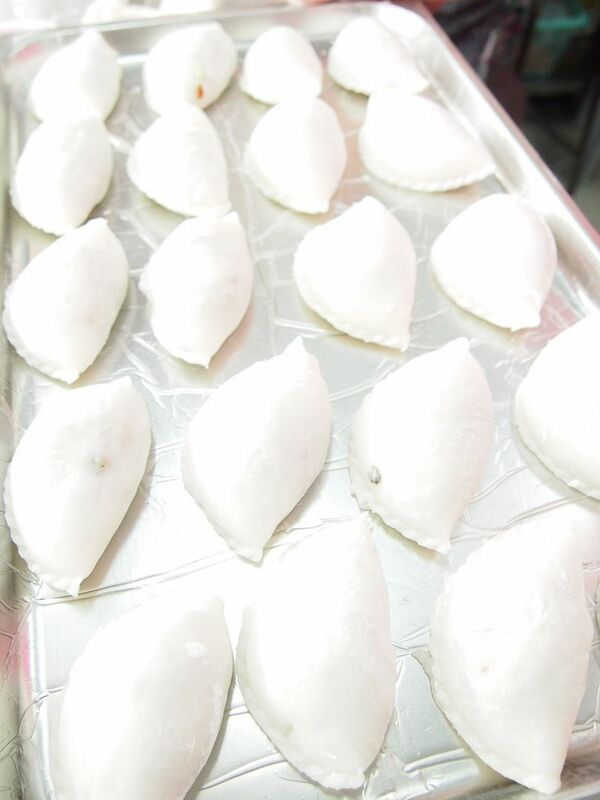 As every ang ku kueh is hand-made, the amount of dough that we pinch out to form the kueh and the filling is prepared by the measurement of hand and adjusted if need be. 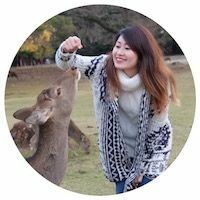 It comes with experience definitely, to know how much you need. 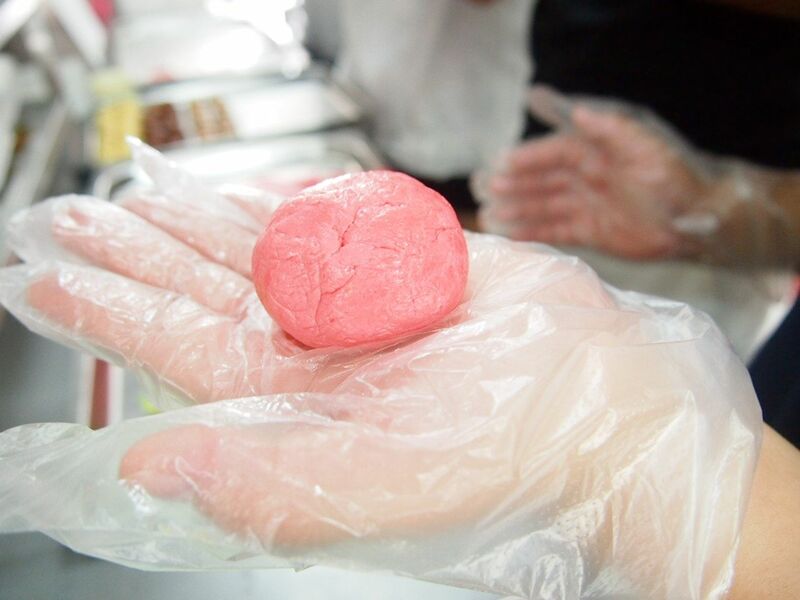 Because when we tried it, our kuehs were either too small or too big HAHA. Green bean, coconut and peanut filling prepared in advance for us. 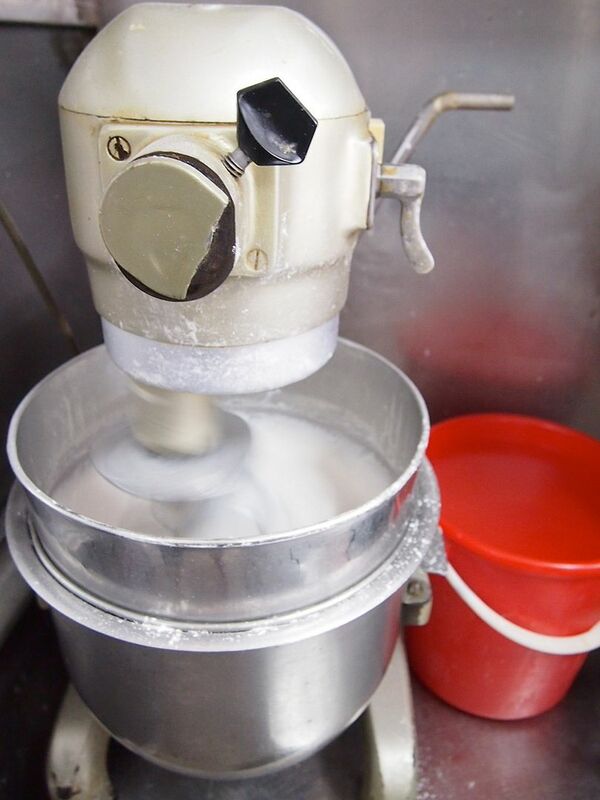 6) Dust one side of the ball with more flour but not too much. 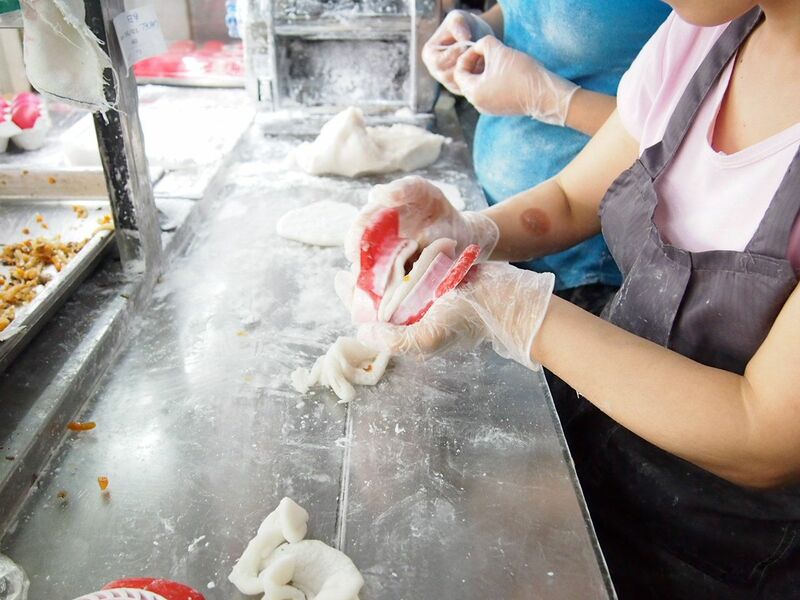 The flour is to prevent the dough from sticking to the mould. Look at our kuehs, haha so uneven and ugly and weirdly-shaped. 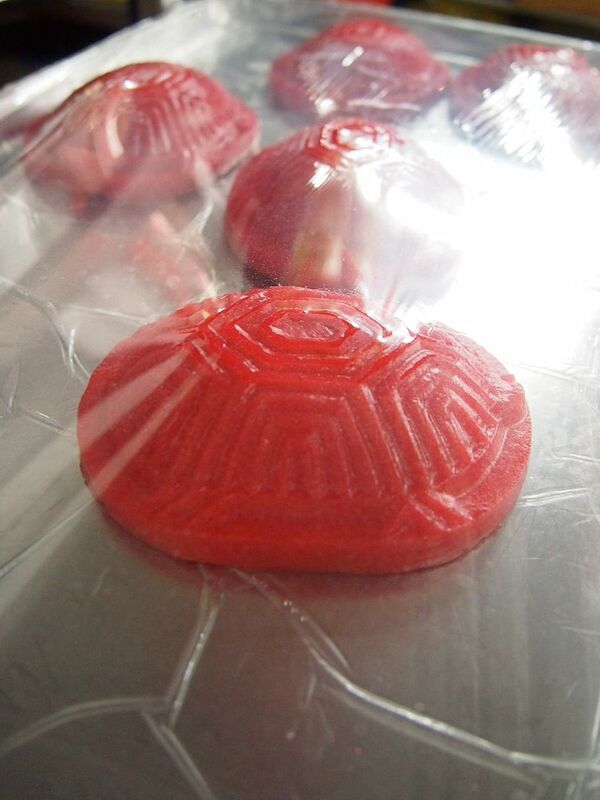 And J even made duo-coloured ones. HAHA. Just by looking at this picture, I can identify the kuehs that I made. Can you see the ones that are cracking and the chinese character is barely visible? Yeah... Those are mine. 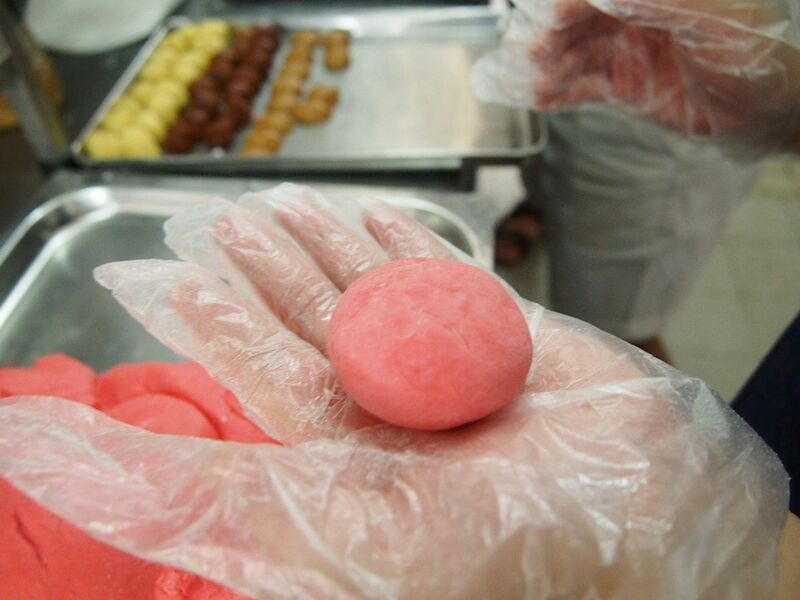 Not very talented in kueh-making. 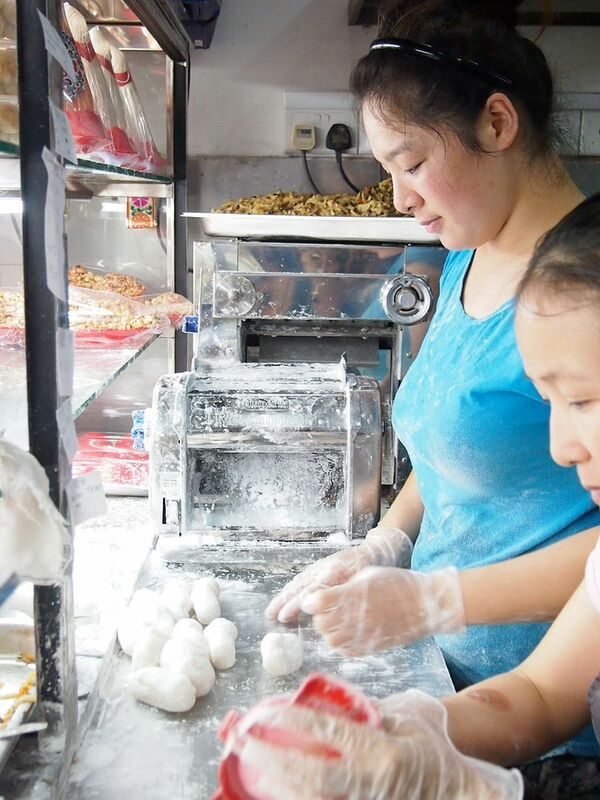 Mr Gavan told us that the lady who makes the ang ku kuehs can make one in 30 seconds. Totally amazed. 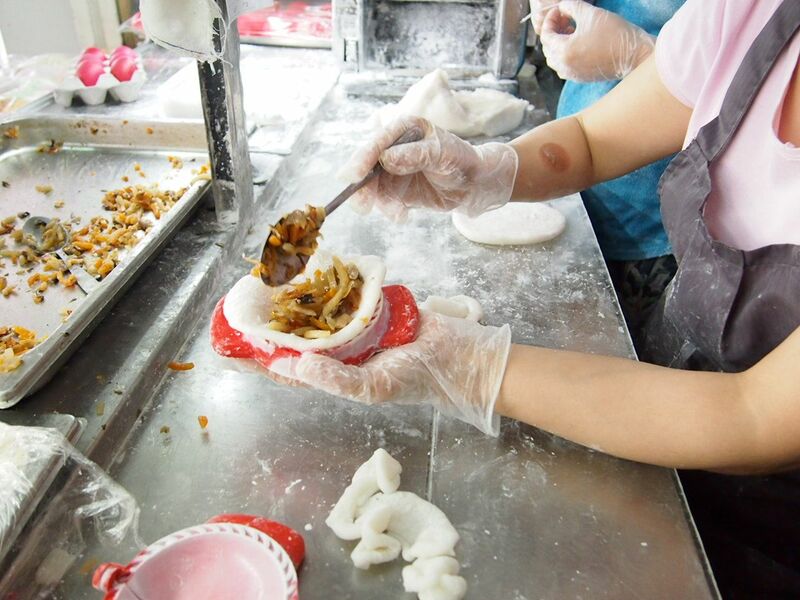 Very delicately balancing the kueh in the mould to prevent parts from sagging, and scooping the fillings in! 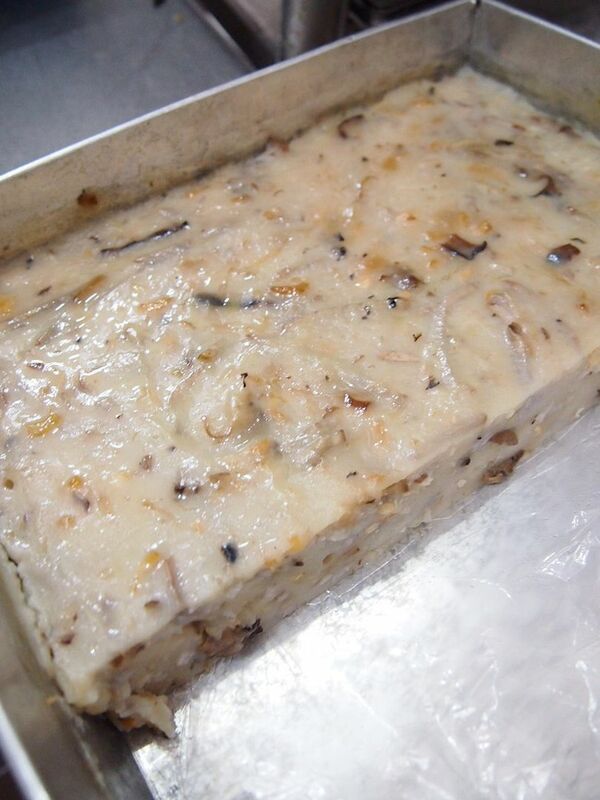 Close the mould and remove the excess dough. The lady does this in like 10 seconds. WOW? 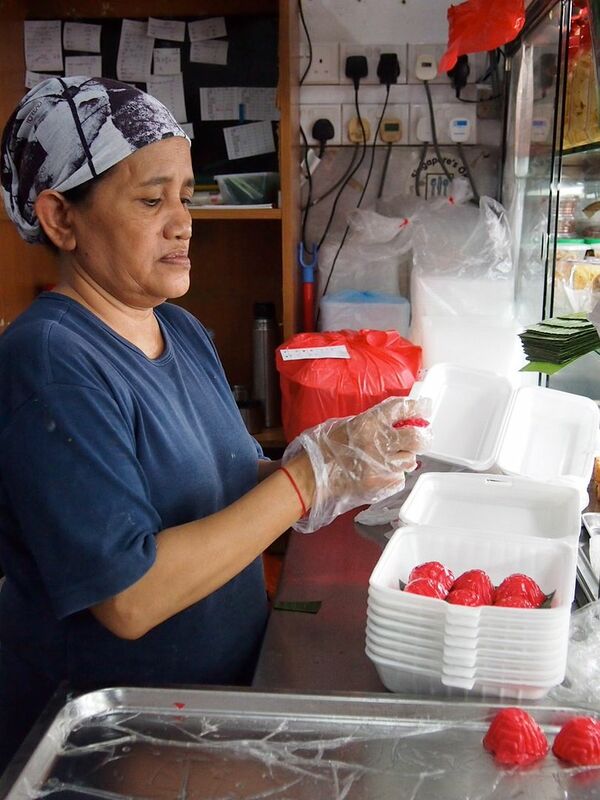 The soon kuehs at Lek Lim Nonya Cake Confectionery are the most authentic and best you can find because they are made by hand. 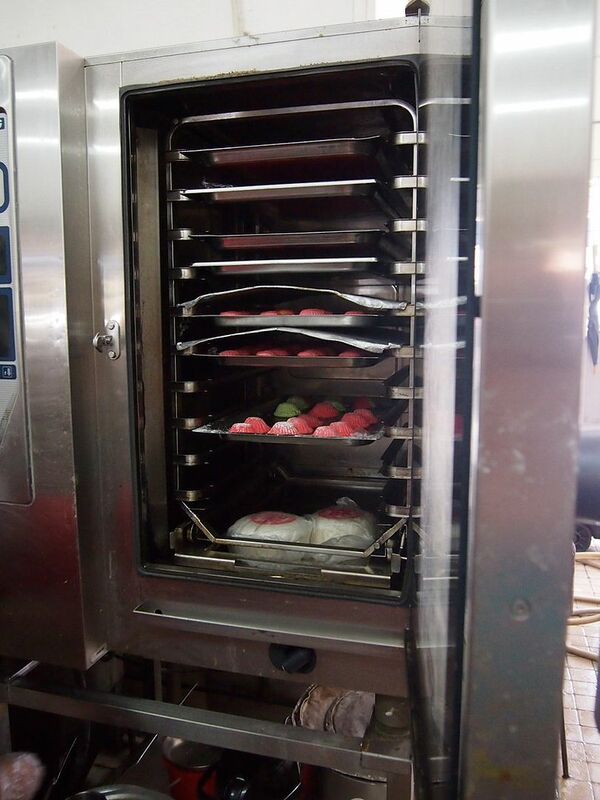 This prevents the dough from being "damaged" by machines which use pressure to stuff the filling into the doughs. The same goes for rice kuehs. 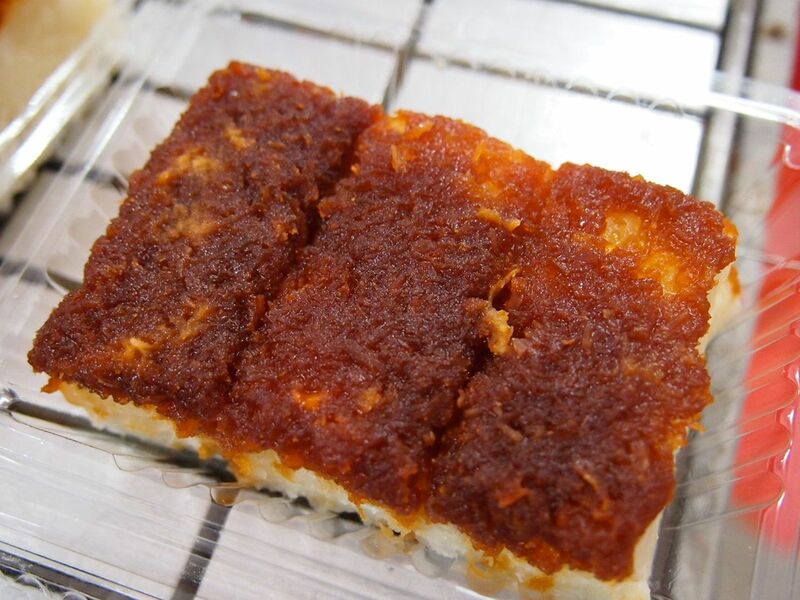 You can taste every individual rice grain in the rice kuehs here. Can't say the same for machine-made ones because the rice grains may probably be crushed by the force of the machines. This is the reason why the ladies have to keep making the soon kuehs because they sell out really quickly! This lady selects the leaves, smacks the ang ku kuehs on them and packs them with lightning speed. 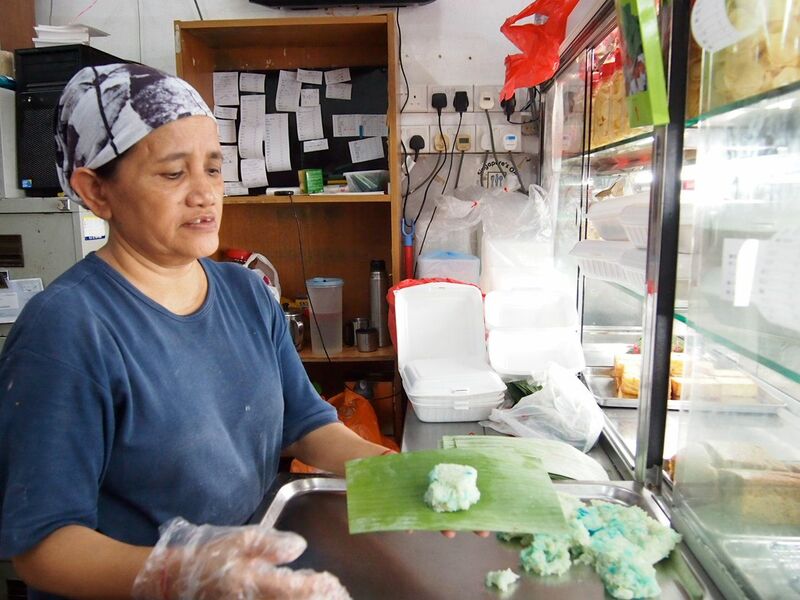 Using banana leaves is the traditional method of making pulut ini, because there wasn't plastic back in the old days! 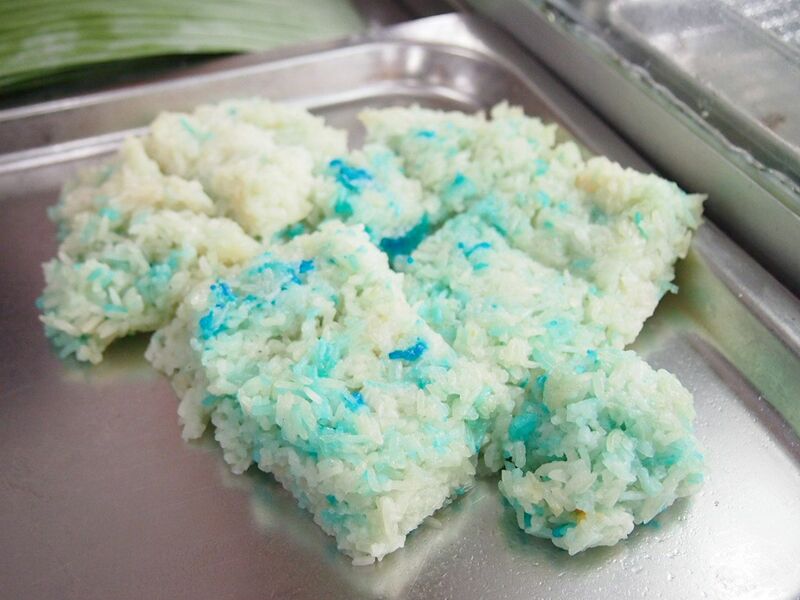 1)Place a handful of piping hot glutinous rice on the banana leaf. Mr Gavan offered us love letters. I love love letters! Their love letters is paper thin. 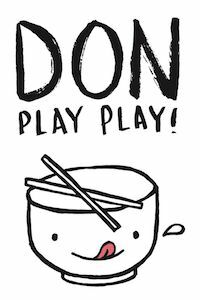 Or maybe even thinner than paper. Very light, and crisp! Almond cookies which were really yummy! 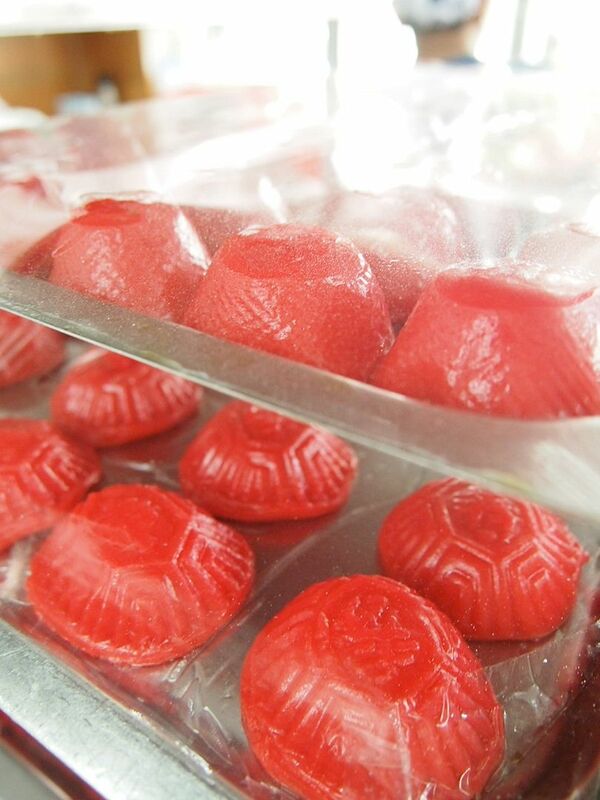 If you're looking for Chinese New Year goodies, you should definitely get them from Lek Lim! Look at what Mr Gavan prepared for us to bring home. 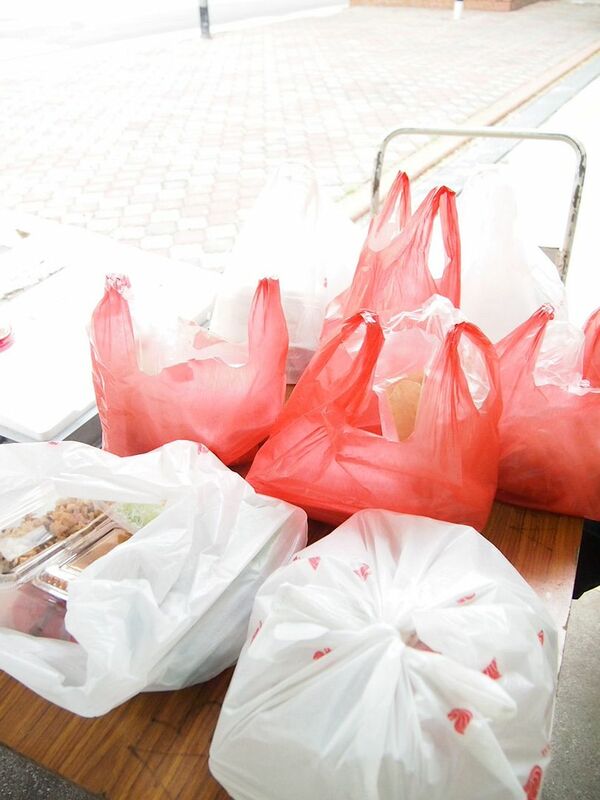 2 bags each for the 4 of us. 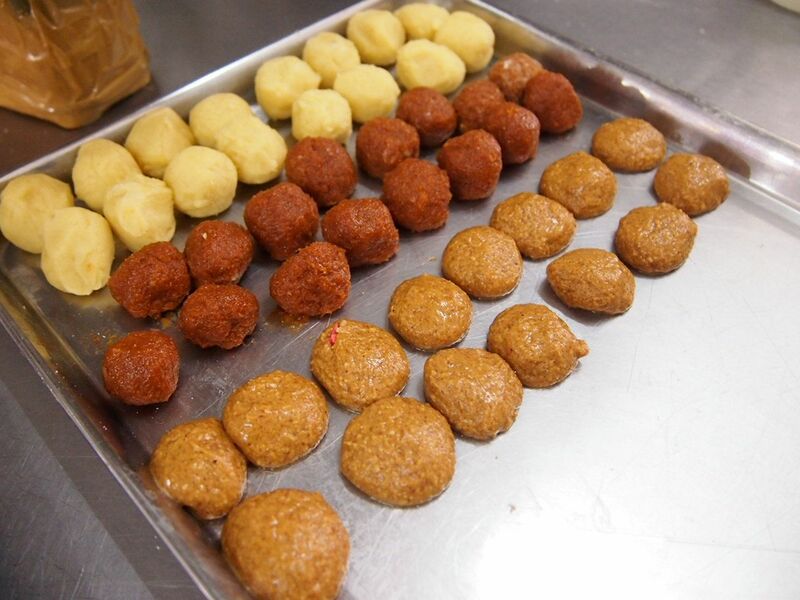 Its ALOT ALOT ALOT OF KUEHS! Hahaha we were really thankful! They gave us like one of every item they make in their store. Super nice and generous! I brought all the kuehs home and my grandma was super happy to have them and shared them with her friends. 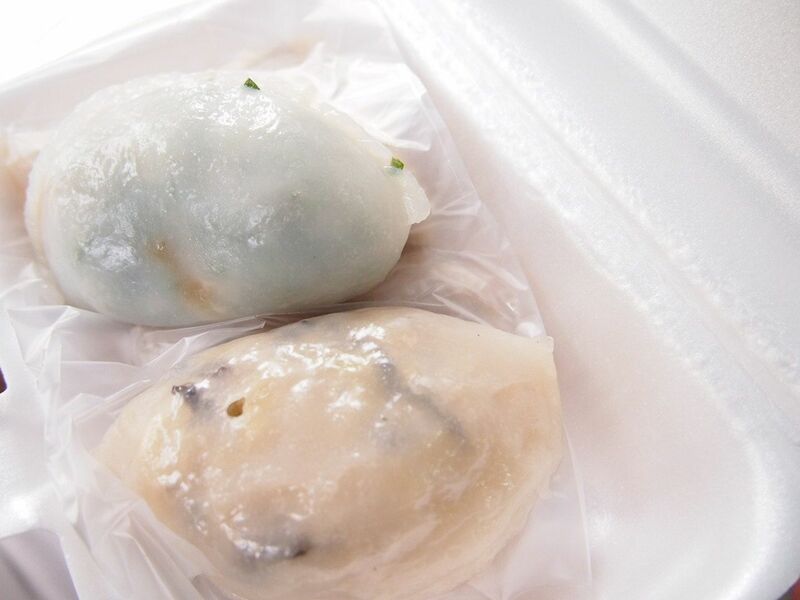 And my uncle ate the ang ku kueh and I very proudly told him that I made it and he was like "NONSENSE. 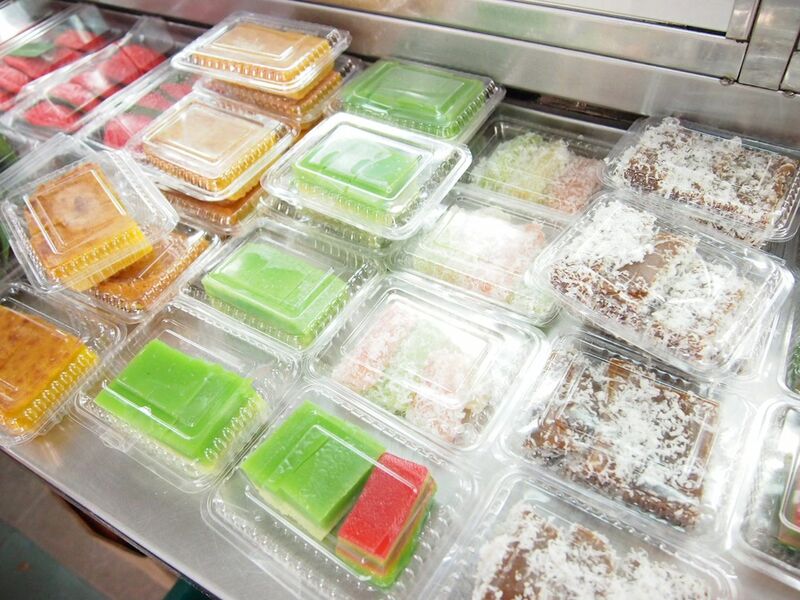 The kueh so nice. Confirm not you make one" Well.... 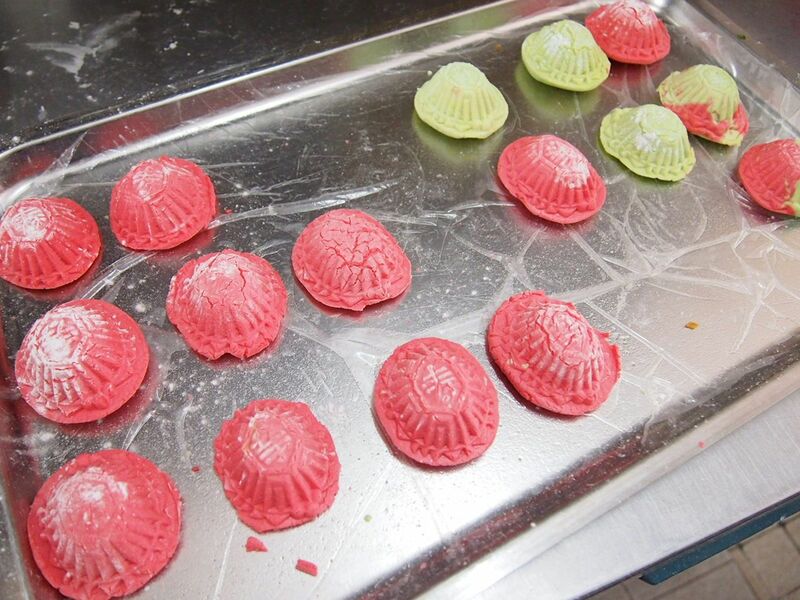 I guess the dough and the filling are good so the kueh tastes nice? Haha. 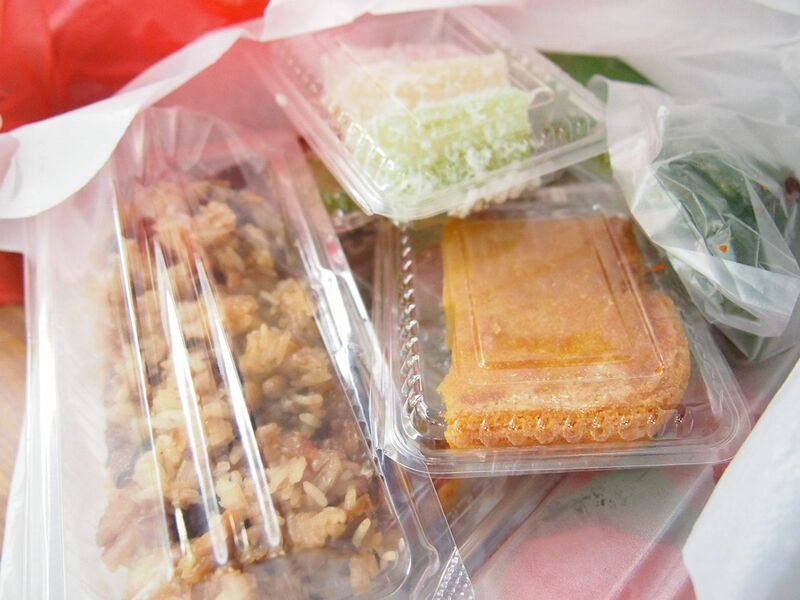 Anyway I love the kueh lapi, it's very springy and chewy and I also loved the yam cakes and the sardine puff! 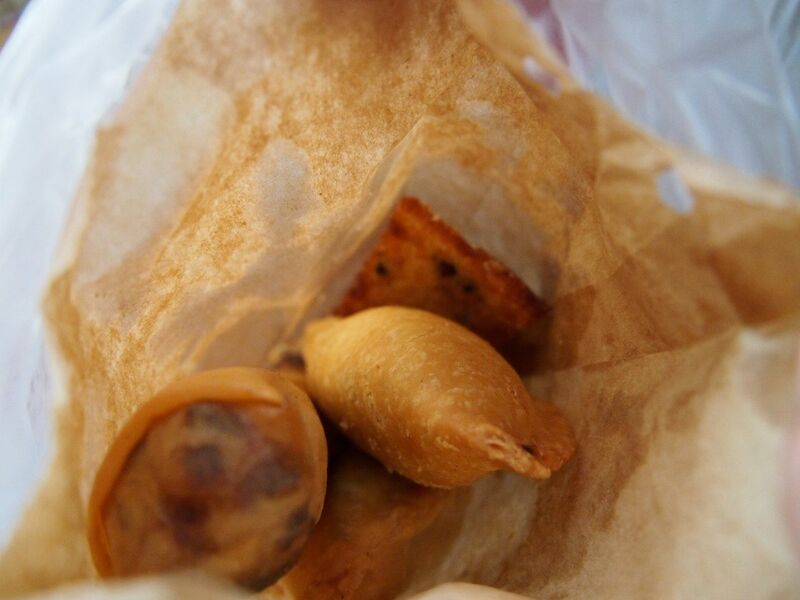 The sardine puff is super good! Didn't have the chance to try the rest because my grandma either ate them, or gave them away to her friends who visited her right that evening ): but my friends said the kuehs were really delicious! Many thanks for the kind review, glad that you guys had fun. Let me know when you two will be nearby, we can catch up again.